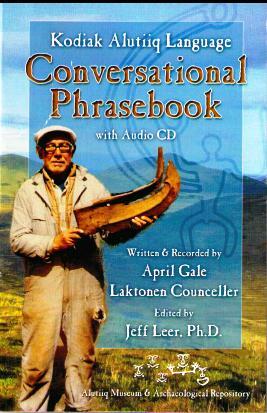 Order a phrasebook to help your conversational Kodiak Alutiiq! Filled with 20 sections, this 44-page booklet has a variety of vocabularly selected to help you learn greetings, numbers, weather, hunting, and other helpful words. The accompanying CD follows the booklet and works on both Windows and Macintosh computers. To order, e-mail receptionist@alutiiqmuseum.com or telephone the Museum store at (907) 486-7004. You can pay by credit/debit card or by check. The price for the booklet and accompanying CD is $13 plus shipping, $1.75 by regular or $4.05 priority mail as of August 2006 within the US. 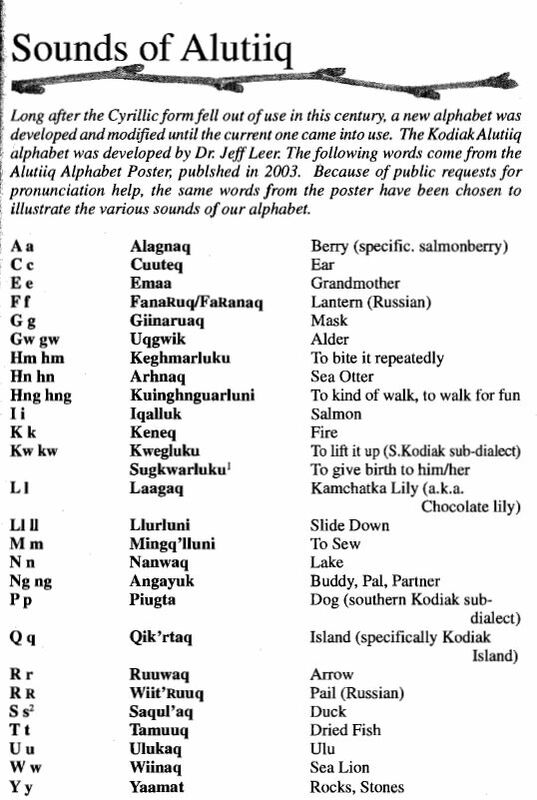 The booklet is copyrighted by the Alutiiq Museum and Archaeological Repository and was produced for a master’s project by April Gale Laktonen Counceller. Editing by Jeff Leer.